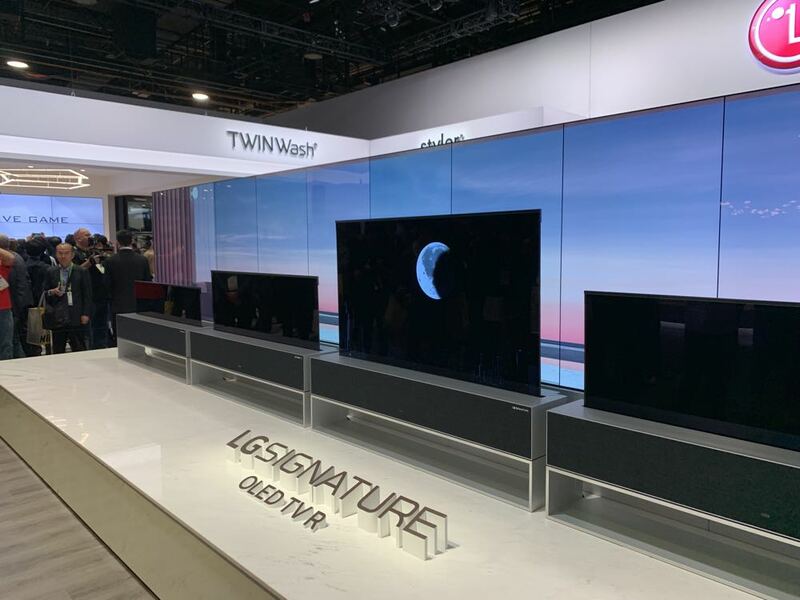 Tech Guide has taken a hands-on tour of the LG Booth at the 2019 Consumer Electronics Show where got to see LG’s latest range of products including the OLED R – the world’s first rollable OLED TV. 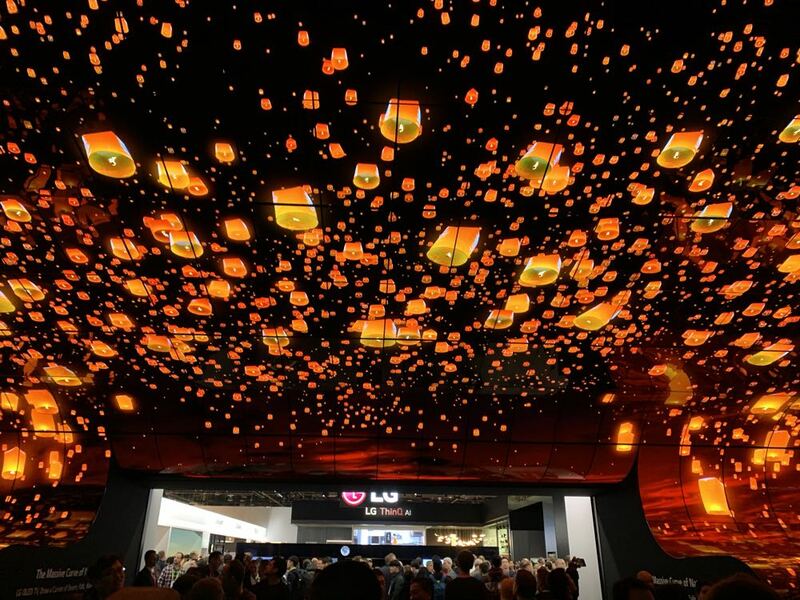 The entrance to the stand was once again a feast for the eyes – the OLED Waterfall. There were more than 260 OLED panels used to create this amazing effect which is made even more spectacular because the OLED panels are bendable and can be curved. The image on the waterfall would change every few seconds from the night sky, to a raging river, to a forest, to an ocean and into a desert. Judging by the number of people gathered outside, the waterfall was truly mesmerising. 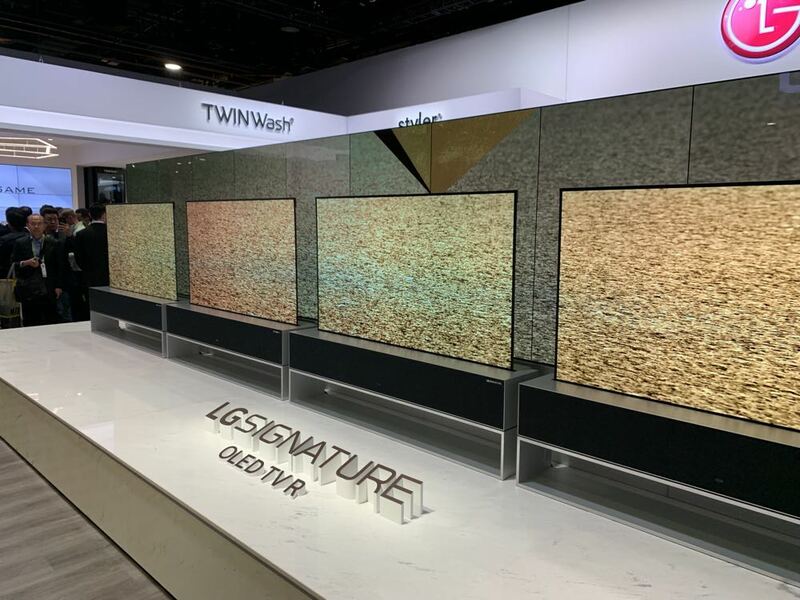 The star of the show, not just the LG booth, but in our opinion, the entire Consumer Electronics Show, was this stunning OLED R – the world’s first rollable OLED TV. You really need to see this for yourself to really appreciate it – our video is as close as you can get till it arrives in stores. The 65-inch display comes up straight and tall and without any hint of a suggestion that it was rolled up inside the cabinet just seconds earlier. And you soon forget it was rolled up out of the cabinet when you see the stunning OLED’s 4K picture quality. From the back you can see horizontal slats which keep the screen straight and taut with two folding brackets reinforcing the edges of the TV. 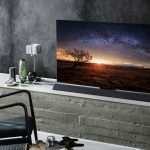 This is definitely a game changer for TVs – and something that can only be achieved with OLED. 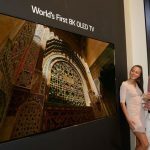 LG’s 88-inch 8K OLED has remarkable picture quality and clarity – it has four times the resolution of a 4K TV after all. Even standing 10cm from the screen you can’t see a single pixel. 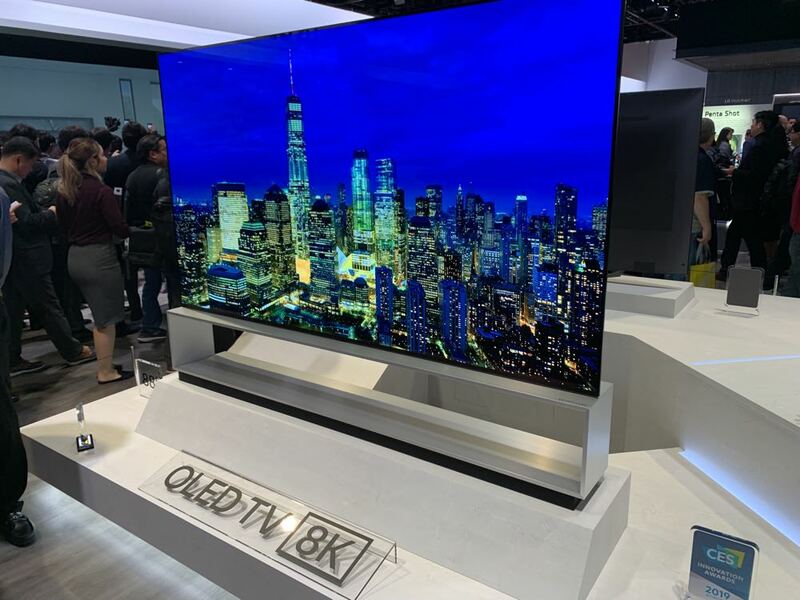 What’s under the hood of the 8K OLED and the entire 2019 LG TV range is the Alpha 9 second generation processor. 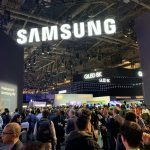 This does all the heavy lifting when it comes to AI and how it can be used to enhance picture quality, determine the best audio for what you’re watching and upscale content to near 8K quality. 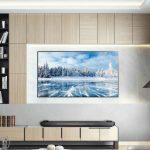 The LG CineBeam Laser 4K, which won the CES 2019 Innovation Award, has a compact design but can project a 4K image up to 90 inches in size on any surface including walls, floors and the ceiling from a distance of just 5cm. When placed about 16cm away from the surface, that image size jumps up to 120 inches. The LG CineBeam Laser 4K UST projector delivers 2500 ANSI lumens for bright sharp images with a superior black level and a wide colour gamut to completely immerse viewers. 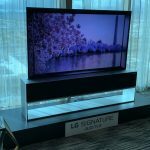 LG will not only offer stunning OLED TVs for our eyes but also impressive soundbars for our ears as well with a line-up of products created in collaboration with Meridian Audio. 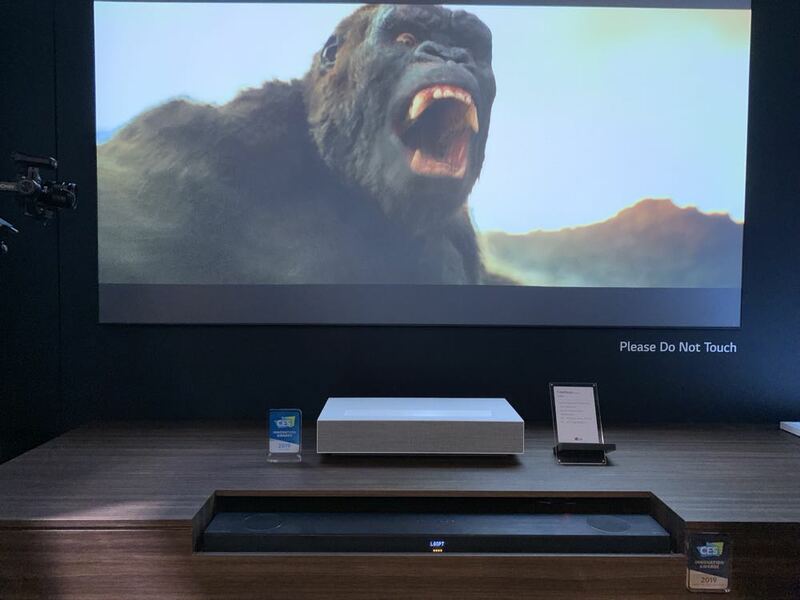 The company’s new soundbars have been designed to deliver superior audio quality as well as offering a modern and sleek look to fit in your home. And you can choose to mount the Dolby Atmos speakers on the wall or on an entertainment unit with sensors onboard adjusting the configuration of the internal speakers to make sure they are firing in the right directions. 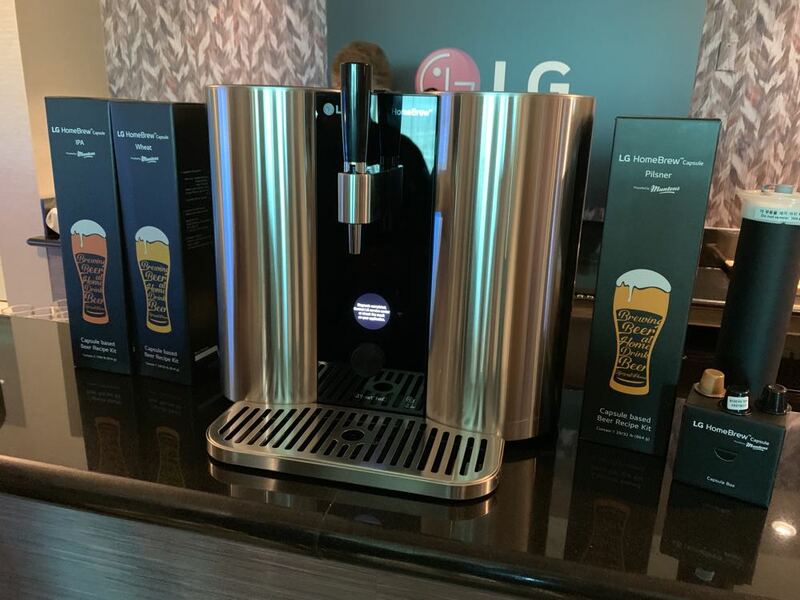 Now if you love your beer the LG HomeBrew is the device for you. You can make beer at the press of a button with this capsule based system that can produce ice cold beer, in five different flavours, in just two weeks. 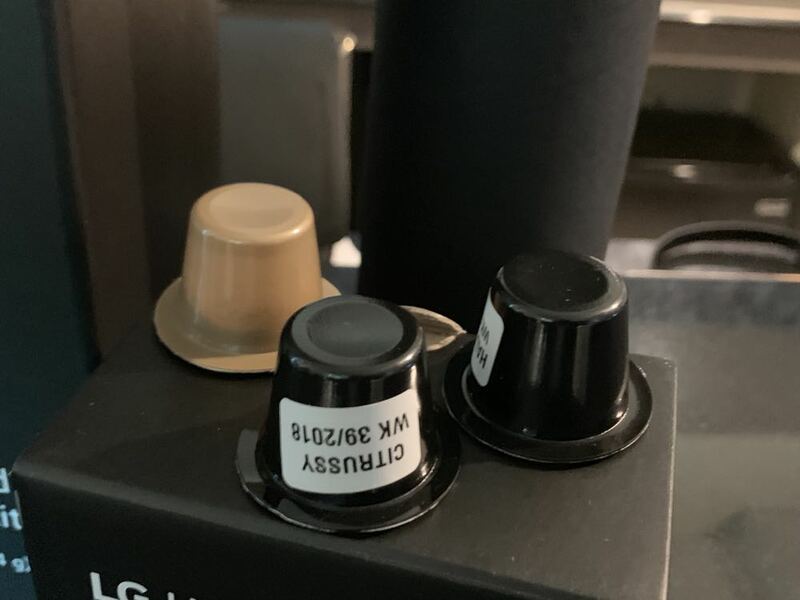 It’s as simple to operate as a Nespresso machine. And the good news is it is self-cleaning – usually a hard task for beer makers. Should we listen to Tom Cruise and turn off motion smoothing on our TV?